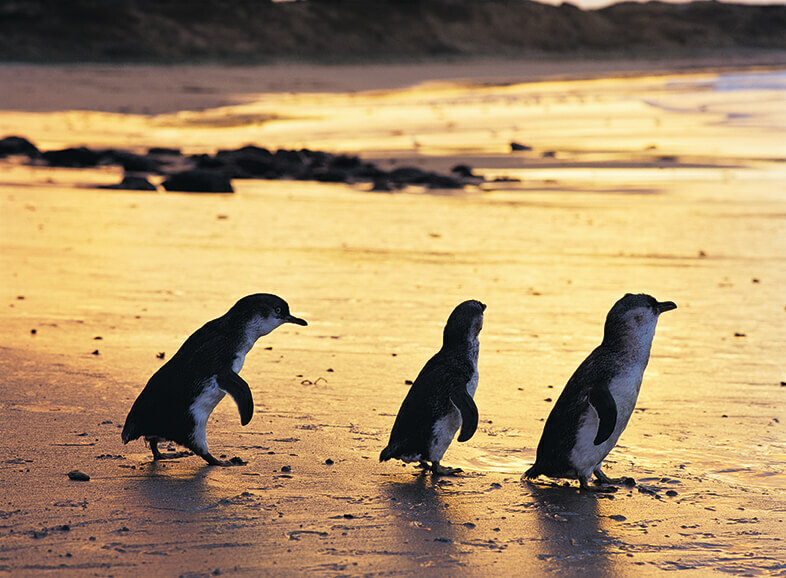 Phillip Island is one of the true gems of Australia’s natural environment. This fascinating little island offers a wealth of stunning scenery, with rocky coastlines, bushlands and idyllic beaches providing a visual feast for every traveller. The beautiful landscape is also home to some of Australia’s most iconic wildlife, including koalas, Australian fur seals and the famous Little Penguins which parade up the shore to Summerland Beach every evening at sunset. Melbourne Private Tours offers you the opportunity to take in these incredible sights for yourself, on exclusive Phillip Island tours which give you the best possible vantage points as well as a comfortable and informative experiences. Our itineraries are designed to immerse you in the sights and culture of the area, giving you access to the beautiful scenery and wildlife up close, as well as the chance to sample some of the excellent local cuisine. 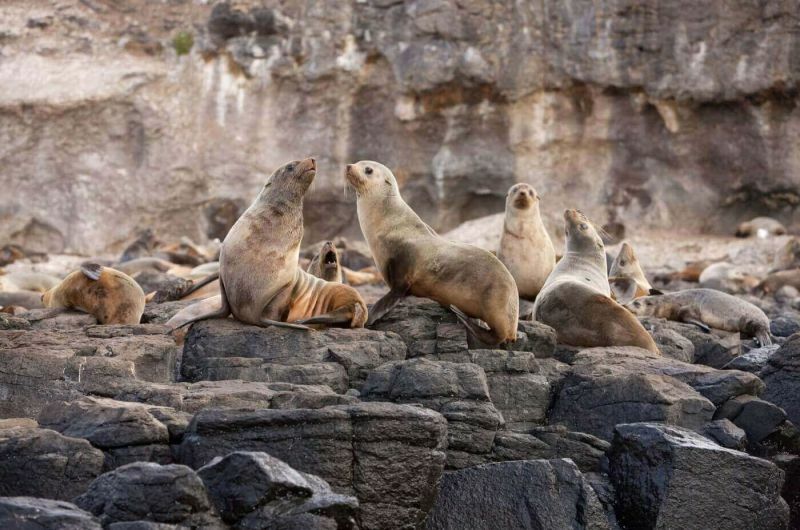 Whether you are an individual, a family or a larger travelling party, we will tailor your Phillip Island tour to meet your needs and ensure you enjoy every aspect of your visit to the region. Travelling in luxury European vehicles, with access to highly experienced guides, you will visit all the top places to see on Phillip Island, and come away with a true feel of what life is like in this fascinating place. 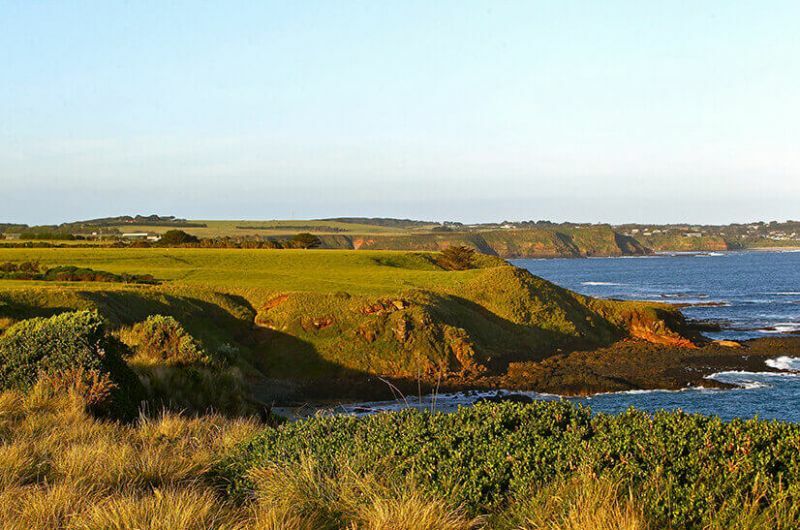 We hope our Phillip Island tour experiences will provide you memories you will treasure for a lifetime. 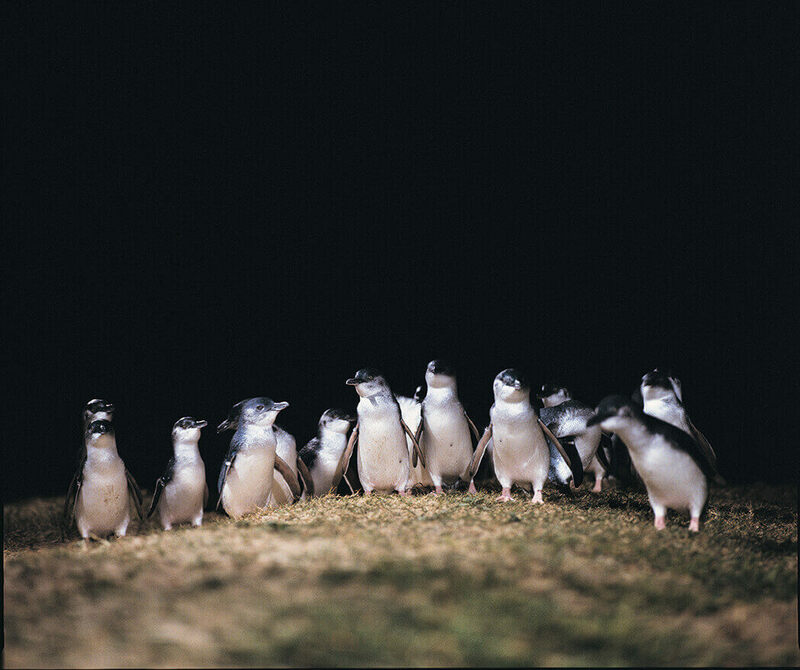 Phillip Island is renowned for the Little Penguins which reside along the coast. Each evening they put on a world-famous display, parading from the shoreline up to the beach as the sun goes down. Often swimming hundreds of kilometres in the ocean, these remarkable birds come ashore at precisely the same spot from which they left, returning to their homes, called burrows, to nest. 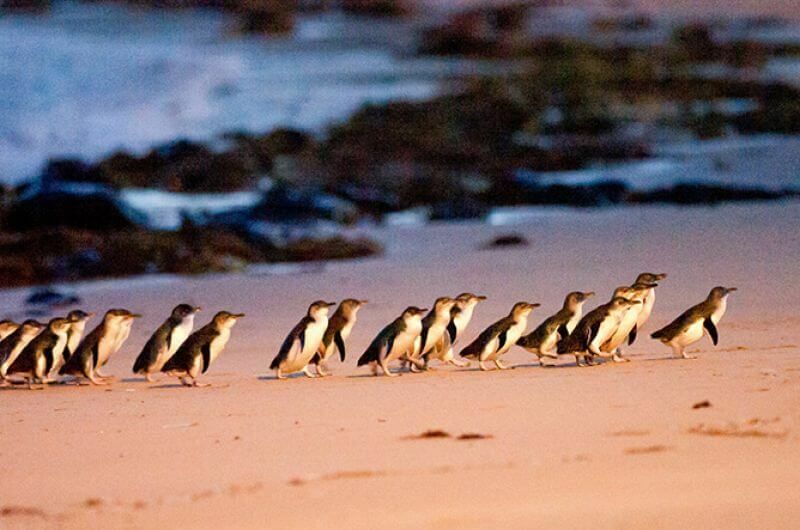 Our Phillip Island Penguin Parade tour gives you the ideal opportunity to witness this spectacle for yourself from the Penguins Plus viewing platform, enabling you to experience one of the true natural wonders this part of Australia has to offer. If you are looking for a more intimate and exclusive way to see the highlights of Phillip Island’s natural environment and the wildlife it contains, the Phillip Island Ranger Led Adventure is the right choice for you. Your visit will be guided by your own Phillip Island Nature Parks ranger, who can offer their extensive knowledge and unique insights into the diverse history, ecology and culture of the island. 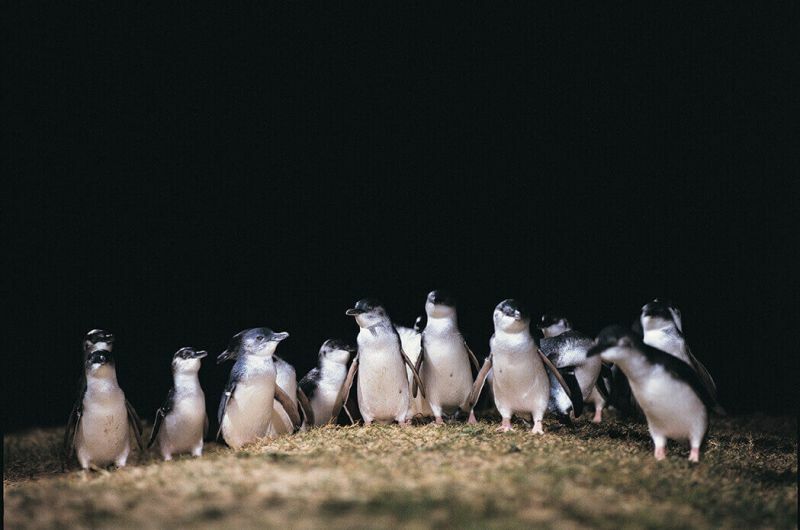 You will also enjoy a very special view of the penguins coming ashore in the Ultimate Penguin Experience – located on a secluded beach away from the crowds where you can witness the Little Penguins from a truly unique vantage point. 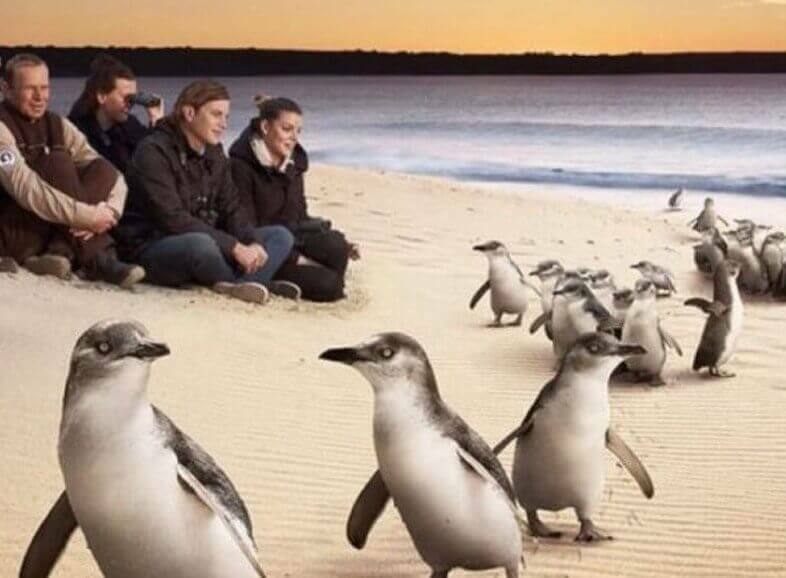 In addition to the famous parade of the Little Penguins, all of our Phillip Island tours take in some of the other major ecological sites the island has to offer. 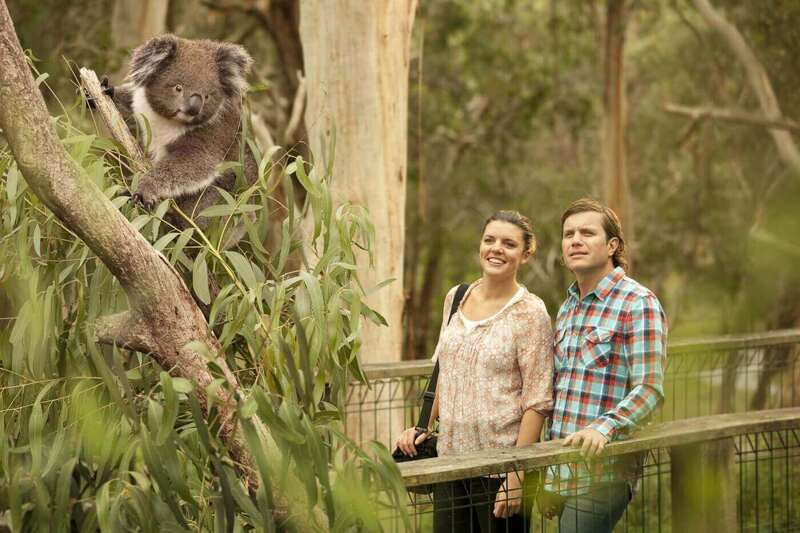 You will pay a visit to the Koala Conservation Centre, where you can see these iconic marsupials up close in their natural treetop habitats. You will also take in the Nobbies Centre which offers stunning sea views and the chance to view Australian fur seals at Seal Rocks. With plenty of beautiful walking routes through the bushland and along the coastlines, Phillip Island is a truly spectacular place to visit. If you also want to explore some of the other major attractions of the island while you are here, we suggest you visit the world-renowned Grand Prix circuit, or perhaps visit one of the renowned surf beaches such as Cape Woolamai, spend time bird and wildlife spotting, experience Victoria’s heritage farming history at Churchill Island, or sample fine wine and craft beer at numerous locations. We aim to offer as complete an experience as possible to everyone visiting Phillip Island on a Melbourne Private Tour. We delight in tailor-making our suggested itineraries to suit your specific needs, and we offer a number of optional extras that can be added on to make your trip more diverse, family-friendly or romantic, depending on the purpose of your visit. We are always happy to take your requests into account, as we want to provide you with memories you will treasure long into the future. If you would like to know more about our Phillip Island tours, or book a tour for yourself, please contact us for more information. We are looking forward to welcoming you on tour to Phillip Island, a very special Australian tour destination.